Today I thought I’d just do a little post on what I’ve been up to today because it’s been so fun. Last night we had a house party for Abi (one of the my housemates) 21st birthday, it was a really fun night but it meant we were all very tired this morning. 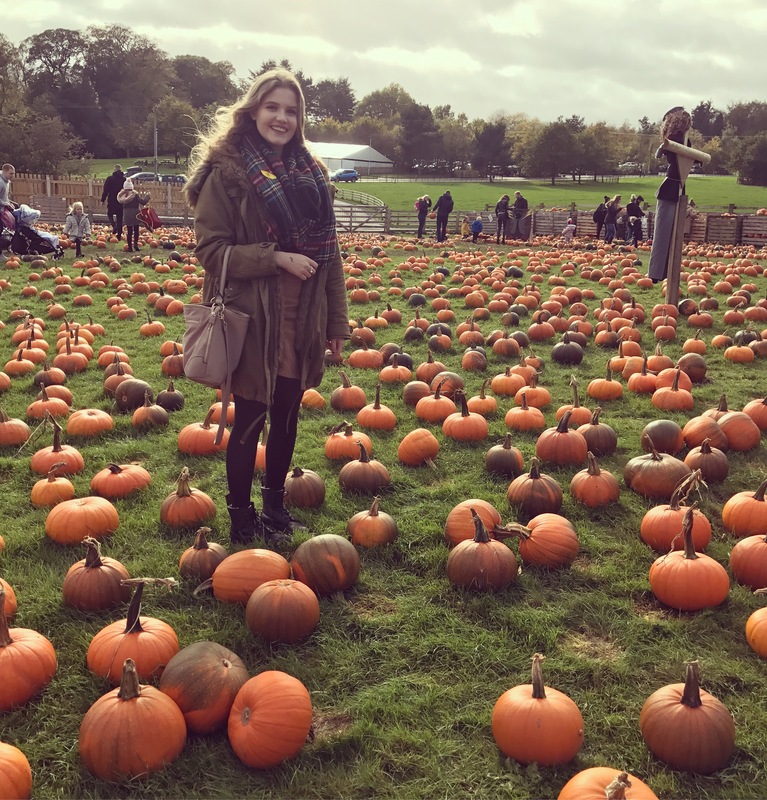 Luckily I had today off work so myself and Josh decided that after a lazy morning we would go out and find somewhere to go Pumpkin picking. 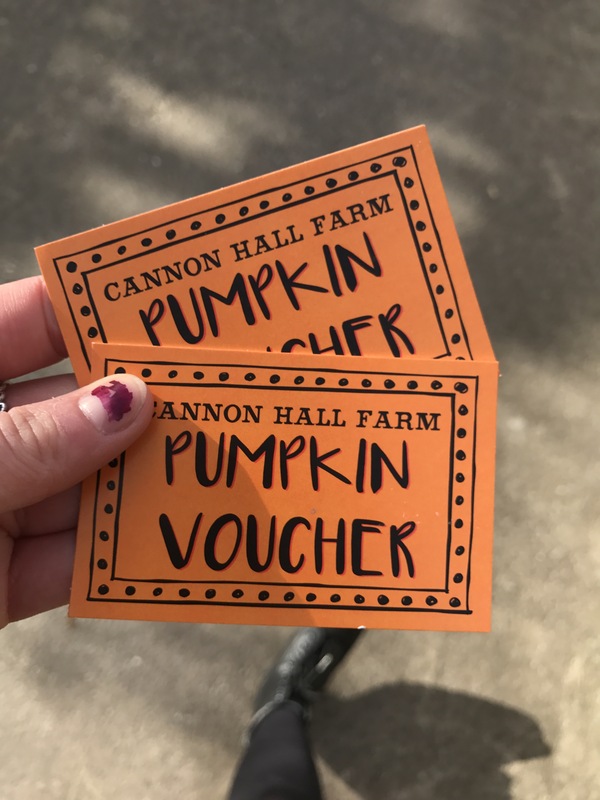 We decided to head for Cannon Hall Farm near Barnsley as it’s somewhere we’ve both been going to for years but hadn’t visited for quite a while. We nearly had a disaster before we even got started as we forgot you had to pay for parking and neither of us had much cash, luckily I managed to scrape the £3 together in coppers much to the disgust of the parking attendant, oooops. Parking mare averted, we headed straight to the cafe for some food as neither of us had eaten since the night before. The farm and the cafe have been developed loads since I last visited and the cafe did not disappoint. 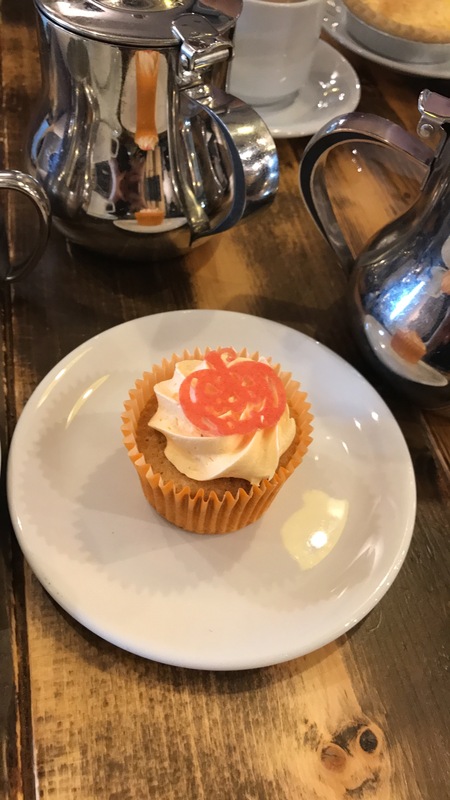 I went for a Beer Batter Cod Ciabbatta with homemade chips, followed up by a Halloween cupcake whilst Josh went for a Cheese and Ham Toastie and an Egg Custard. 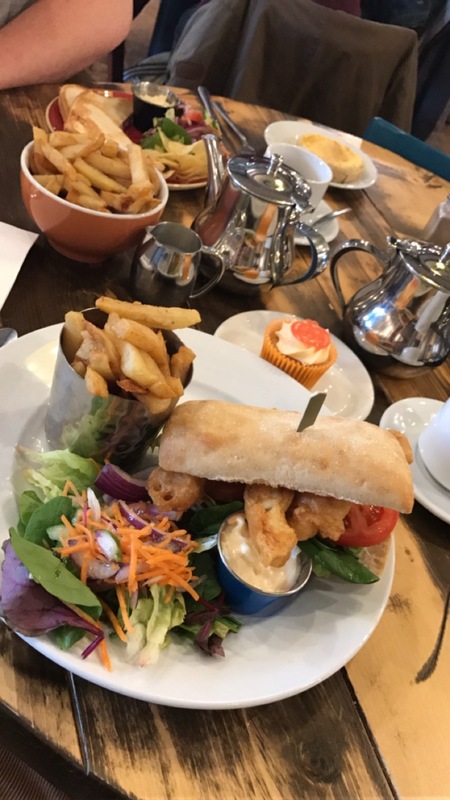 It was all beautiful and we were both stuffed afterwards, plus you get a voucher with your parking ticket to knock £3 off your food bill, so it keeps the cost down if you’re thinking of coming in October Half Term. After the food we headed into the Farm, we had a wander round and saw all the animals, a lot of whom had got young babies so that was very cute! 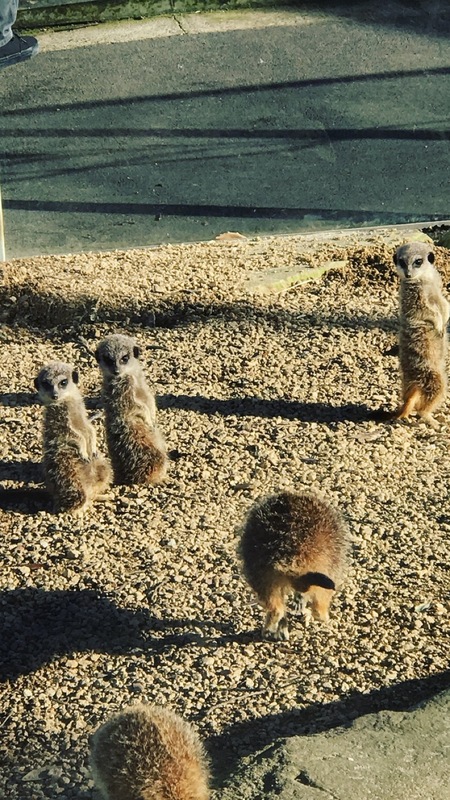 I got to stroke a Rabbit and a Guinea Pig and we spent a long time nosing at the Meerkats who were worshipping the last bit of Autumn sun. Finally onto the real reason we went, the pumpkin patch! 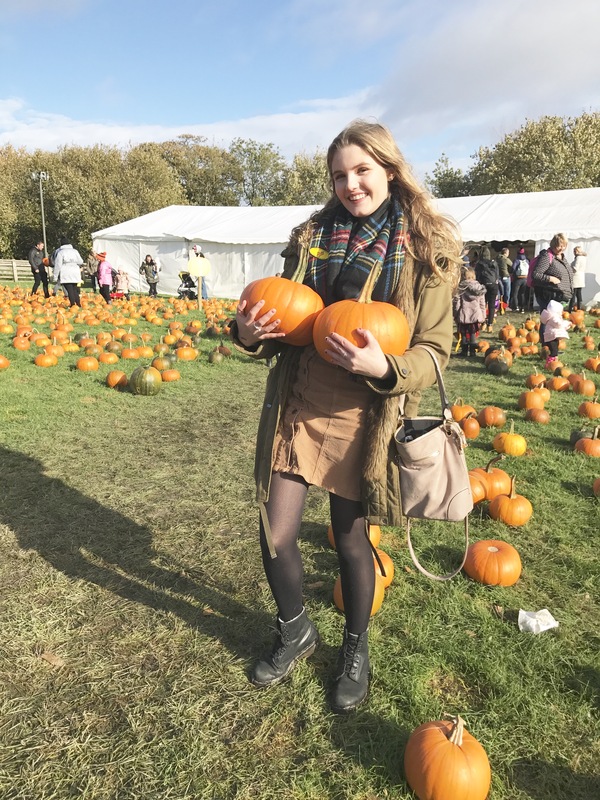 I really wanted to go and pick my own pumpkin this year after seeing so many people on instagram doing the same! We decided not to get them carved there but to bring them home to do ourselves at some point when we had more time and where it wasn’t freezing cold. You paid for as many pumpkin vouchers as you wanted on the entrance and then you exchanged them for your pumpkins at the end. 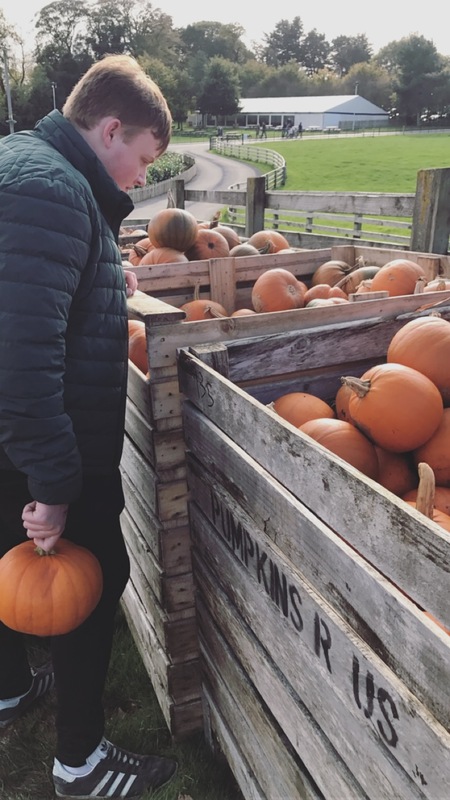 I spent a long time trying to choose the perfect pumpkins, much more time than any of the 5 year olds that the farm is actually aimed at. Finally we decided on our favourite ones and now I’m excited to get them carved. The whole day just felt super Autumnal, the weather stayed so nice and it was just nice to get out into the fresh air and do something a bit different before it just gets too cold. Now I feel totally prepped for Halloween and all I want to do is watch Hocus Pocus, curled up with a Hot Chocolate! You may have picked up on the fact that Autumn/ Winter is my favourite time of year so I was totally in my element all day. 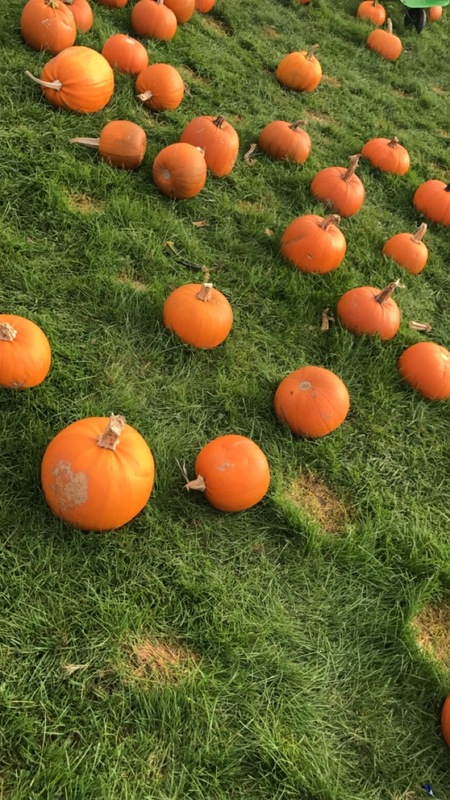 Have you been to a pumpkin patch this year? Or if not what’s the most Autumnal thing you’ve done so far this year? That sounds like a lot of fun, I plan to visit a pumpkin patch pretty soon. The most autumnal thing I’ve done is to decorate my apartment with miniature white pumpkins from my local grocery store. I bet that looks so cute! yeah I liked the look and they are so inexpensive. I highly recommend going to a farmers market. This sounds like great fun! I’ve currently got my pumpkin and I’m just waiting to have some time to sit and carve it! I’m super excited to do so. It really was! Ooooh sounds lovely you’ll have to stick a Halloween film on while you carve it!